Philmont, Northern Tier, Summit and Sea Base: he has conquered them all. Luke Miller is a certified Eagle Scout who has committed himself to the Scout Oath and Law. Trustworthiness is what he values most when writing and reporting for the Panther Prints. He is loyal to his fellow staff, helpful to those in search of the truth, friendly to those in his community, and courteous of those in need. Three points of the Oath, being physically strong, mentally awake, and morally straight reside in Luke, as he represents not only the newspaper staff but all of Plano East. He aims to provide the honest truth with sincerity and humanity. 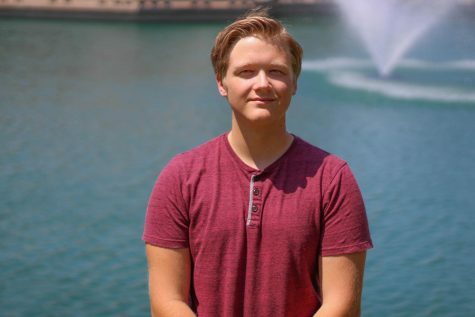 Having achieved the honor of Eagle Scout, not only in the Scouting community but in appliance to the business world as well, Luke continues to aid his community in any way he can, whether it be helping in food drives, assisting in church services, or building trails for national parks. He is considering pursuing journalism at UNT, as well as psychology, sculpture and photography, two of which he has won several awards for. Awards, however, will never surpass his pleasure for helping others and making friends along the way.